The matrix processor is an example of a typical 'regular' problem. We require to compute a 2d Grid of values. 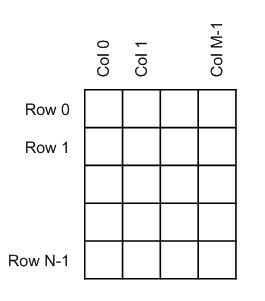 All the elements from each Row are processed in a Row-by-Row calculation and similarly all elements from each Column are processed in a Column-by-Column calculation. Finally a result is computed from all of the Row and Column results. Each process is independent apart from the input data.